The church was opened in 1867 to serve a small rural population that has now transformed into a dormitory village for 2,500 residents. Refurbishment to the building created a smaller worship area and a new community room which is regularly used by a toddler group and others who need a meeting room. TuesdaysCoffee Morning 2nd and 4th Tuesday of the month 10am – 11.30am. This Church is in the Norfolk Broads Circuit. The Circuit's page on this website is here. 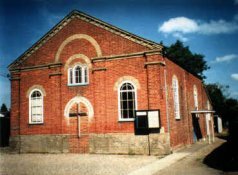 A list of all the churches in The Norfolk Broads Circuit can be found lower down this page. For an alphabetical list of churches in the District click here.